A “workflow” is just another way of saying that you are developing a routine for productivity. 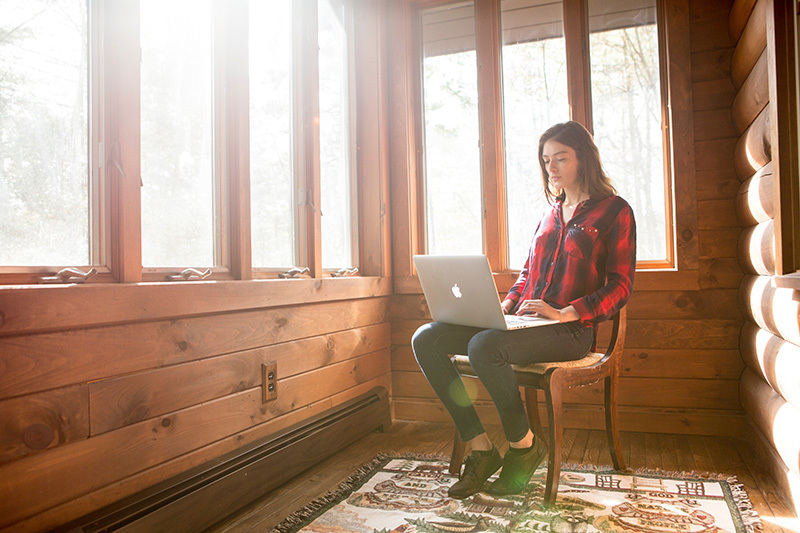 It's about taking care of the business side of your art career efficiently so that you can save time and spend more time in the studio and less time on administrative tasks. The best way to tackle your workflow isn’t by reinventing the wheel (remember, we’re trying to save you time here!). Created specifically for artists, Artwork Archive leads you step-by-step in managing the information you will most certainly need to manage and grow your art career. Your art business workflow starts by updating your art inventory records with every new work you create in the studio. That means taking high-quality pictures of each piece (learn how here), and then recording the details you’ll need to keep those pieces organized—the same details you’ll need to know in order to persuade collectors to write that check! Here’s how to get started. 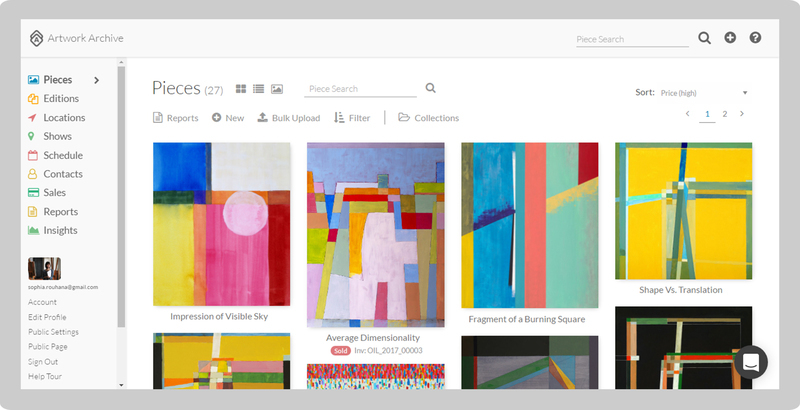 On Artwork Archive, upload the picture of your piece and input information like the title, medium, price, subject, dimensions, inventory number, and even notes about the work that collectors will want to hear. It’s best to do this as you create and finish each work, while the piece is in front of you. That way, you’ll don't run the risk of forgetting this essential information later down the road when the piece is out of the studio or buried deep in the storage closet. The details you save to your account are stored in the cloud (and downloadable at any time), so you can look them up on any device connected to the internet. It’s a real lifesaver when you’re face to face with collectors ready to buy! Your artwork has been flying off the easel—fantastic! But to keep the business side of your art organized, that means you need an easy way to keep track of where it is and who’s in possession of it at all times. That’s why the very next step of your art business workflow should be using Artwork Archive to manage the galleries, collectors, interior designers, consultants, consignment shops, and any other clients you work with. You’ll be able to include simple details like their email, phone number, and address, but also other helpful information like their website and a profile image so you can recall their face in person. 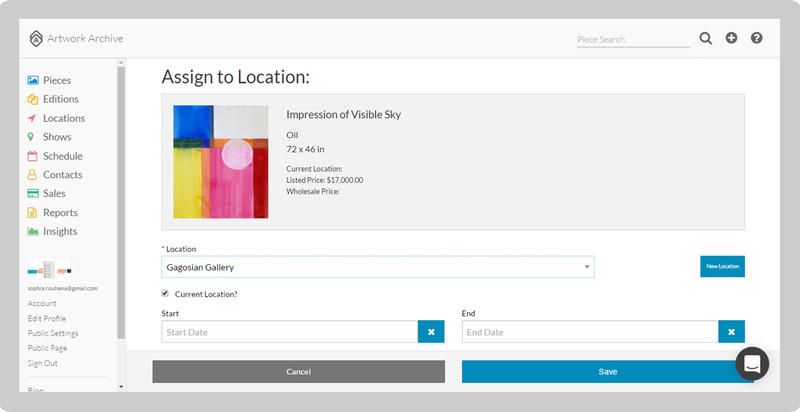 Next, add the specific locations your art business works with, complete with address and contact information. 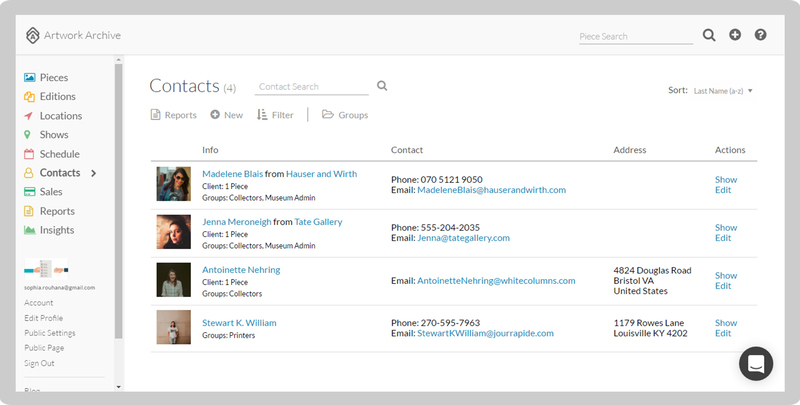 You can even link these locations to specific clients in your contact list! Get in the habit of adding these contacts in Artwork Archive as soon as you start working with them. Read on to see just how crucial this step will become for you. Know where your artwork is going and coming from, always. Cut the chaos from your art business with this next step: Wherever your artwork goes, record it. Is a collection being sent off for a two-month show? Do you have one piece on display at that shop downtown? Did you submit a few works for a juried show? When do you need to pick up your unsold work from the gallery? Artwork will come in and out of the studio like air. So, as soon as an artwork is on the move, assign it to its new location on Artwork Archive. Since you already have the locations you work recorded, all you need to do is select the right one drop-dropdown menu and add the dates it will be out of your inventory. With this simple step as part of your workflow, you’ll never lose track of your artwork, never double sell a piece, and never forget to pick up your work from a gallery again. Keep the productivity party going. The next step in your workflow comes when you sell a piece of your artwork. After you do a happy dance, of course, log the sale and generate an invoice. You can enter the final sale price, a sales tax percentage, the date of the sale, and any notes you might want to jot down, along with linking it to the client and location it was purchased from. This is also a great time to generate an invoice and a Certificate of Authenticity right from Artwork Archive, ready to send to the collector! When you take the time to register your art sales, you’ll have exact records of what happened to each piece, track your art business income with ease, and develop important insights about your sales strategy—not to mention, ensure that you get paid for your artwork on time. Okay, bookkeeping probably isn’t the most exciting part of being a creative entrepreneur, but nothing helps more than keeping all of your financial records organized. By staying on top of your income and expenses, only then can you get an accurate picture of your art business. 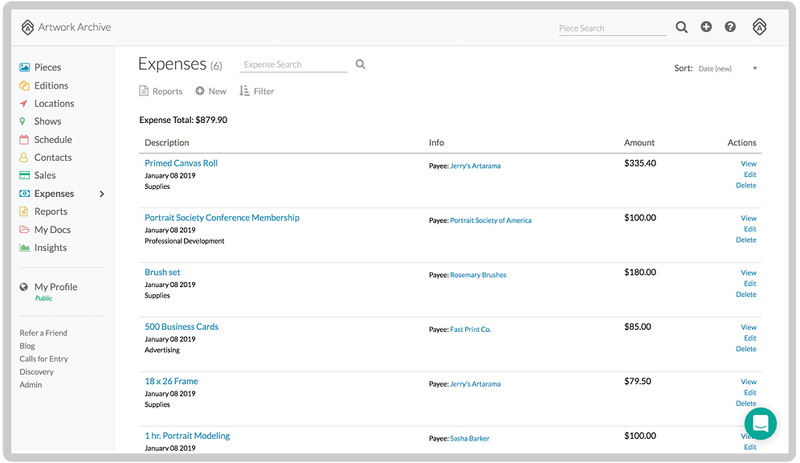 Know where all of your sources of income are generated, where your money is going, and what you can write off with our Expense Tracking feature. More than that, you can tie your expense records to a client within the database, gain insight into how much you are spending in certain categories, and get one-click expense reports. With tax season right around the corner, check out all of the main categories that you can keep track of in Artwork Archive. The final step of your art business workflow when using Artwork Archive? Managing your Public Profile Page. The best part is that for this sleek online art portfolio, all you have to do is decide which pieces in your inventory you want to be shown! And when you integrate your Public Page on your own artist website, you'll appear more professional and skip that endless double data entry! The details from your inventory are already linked, which means anything you update will be shown on your Public Page and website, including when you mark a piece as sold. 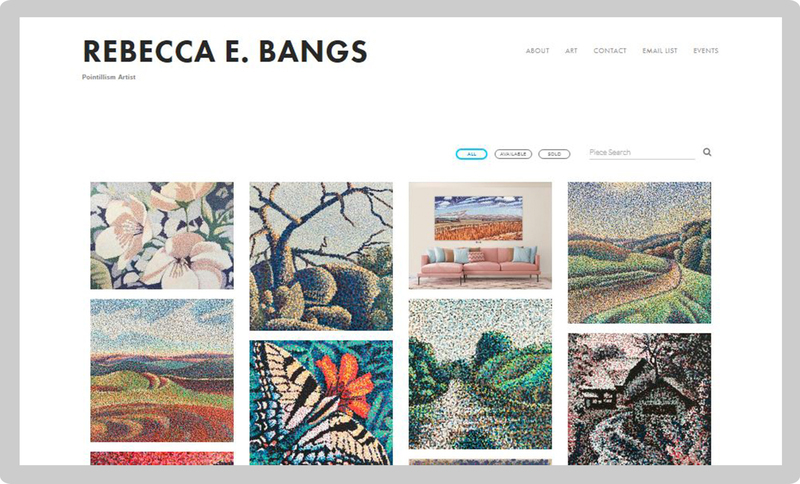 You’ll keep your online presence strong, collectors will be able to see your most up-to-date and available works, and you’ll boost your brand as a successful artist by displaying works that have sold. While it sounds intimidating, a workflow is just a step-by-step routine that will help you become more productive in your art business. And while it’s great to go wild during the creative process, your livelihood (and sanity) as a professional artist depends on getting the business side of your art organized. A tool like Artwork Archive makes it simple and easy to manage your art career, so you can spend less time feeling like a business owner and more time doing what you love—creating art. Ready to supercharge your art business workflow? Give Artwork Archive a try for free now. Learn how to put your best foot forward with your portfolio so you can land an art licensing deal. Considering tiered prices for your art? Learn why multiple price points can increase exposure and help bring you more sales. Manage your limited edition and original prints better with Artwork Archive’s latest updates to its Editions feature.